The fight against Archaeus is winding down, as is the visit from Angel, but neither reached a satisfactory resolution for me. Oh well, at least the Scooby Gang is back doing what they do best. Maybe now we can work on other issues, like Buffy and Spike’s relationship and Giles’s mini-state. As we start the issue, the aftermath of Angel stabbing Spike is dealt with. Their anger fuels them in battle, but Spike knows that the best way to get Angel’s head back in the game is to use that anger for their benefit. He makes Angel confront the daddy issues that have always haunted him, which causes him to focus on Archaeus for that role and also gets Angel to direct his attention in the attack. 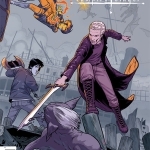 With Angel back in the game, Willow and the rest of the gang can focus on breaking through the artifact while Buffy, Angel, and Spike take on Archaeus. The spell-breaking goes well, albeit slow. Finally there are only two protective layers left and Buffy takes it on by stabbing it with the Scythe. Big explosion, no more artifact, and seemingly no more Archaeus as he vanishes along with his minions. Battle won? Not quite. More like delayed, as there is a hand monster that takes the remnants of the artifact out into the world. And thus we have the opening for the next storyline. With the battle done, the group retires back to the apartment and goes over what happened. D’Hoffryn cuts off their victory celebration by laying some truth on them. The artifact is not out of play, and now there’s an alliance between The Mistress, The Soul Glutton, and The Sculptor. Future battles are on the horizon. But for now they must go on the defense and hope they’re prepared when the fight arrives. 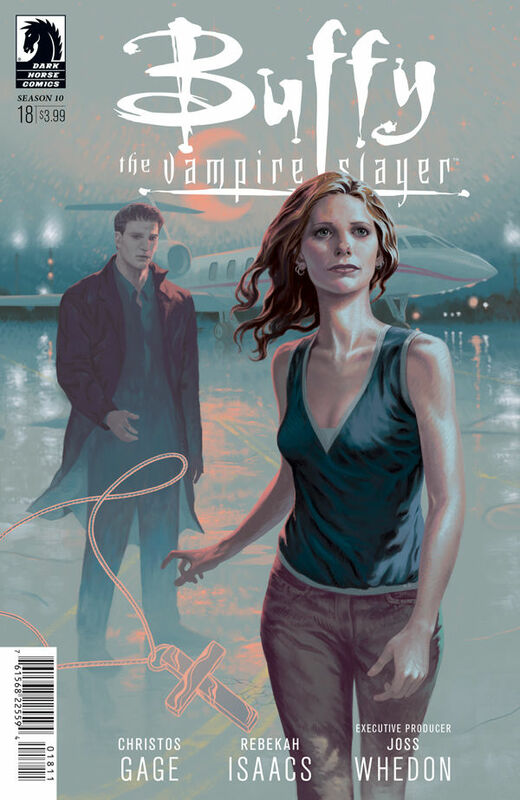 Angel is set to return home, leaving the Scooby Gang behind, but before he does there are a couple of one-on-one conversations that are intriguing. First up, Xander and Angel bond over the fact they both loved and lost Buffy. It’s touching and a bit sad, but I feel like they’re both better off with where their lives took them instead. Next is the interaction between Angel and Spike. It appears that they actually part on good terms. As long as Spike treats Buffy well, they’re good. I was left hopeful. That is, until Angel departs and tells Willow how he really feels. Angel doesn’t think Buffy and Spike will last, doesn’t think Spike has changed or can ever change. I reject his pessimism and focus on the hope that Buffy and Spike can indeed make it. Once again, my attempts to like Angel’s character are dashed. Good thing he’s going back to his own comic again.